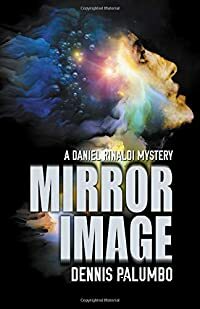 Mirror Image by Dennis Palumbo: Synopsis and Online Purchase Options. Synopsis (from the publisher): Dr. Daniel Rinaldi is a psychologist who consults with the Pittsburgh Police. His specialty is treating victims of violent crime. Kevin Merrick, a college student and victim of an armed assault, is one of these people. A fragile, troubled kid desperate for a role model, a sense of identity, Kevin has begun dressing like Rinaldi, acting like him, mirroring his appearance. Before Daniel has a chance to work this through with his patient, he finds Kevin brutally murdered. Stunned, he and the police suspect that he, not Kevin, had been the intended target. Feeling responsible, Rinaldi is determined to help find the killer, who's begun leaving death threats for the psychologist. His journey takes him through a labyrinth of friends and colleagues, any one of whom may be the killer. It also includes an affair with a beautiful, free-spirited Assistant DA with secrets of her own. And when Kevin's identity as the estranged son of a Bill Gates-like biotech giant is revealed, the investigation of his murder turns into a national story … even as another person turns up dead.